Get your business off the ground floor with a stunning brochure! 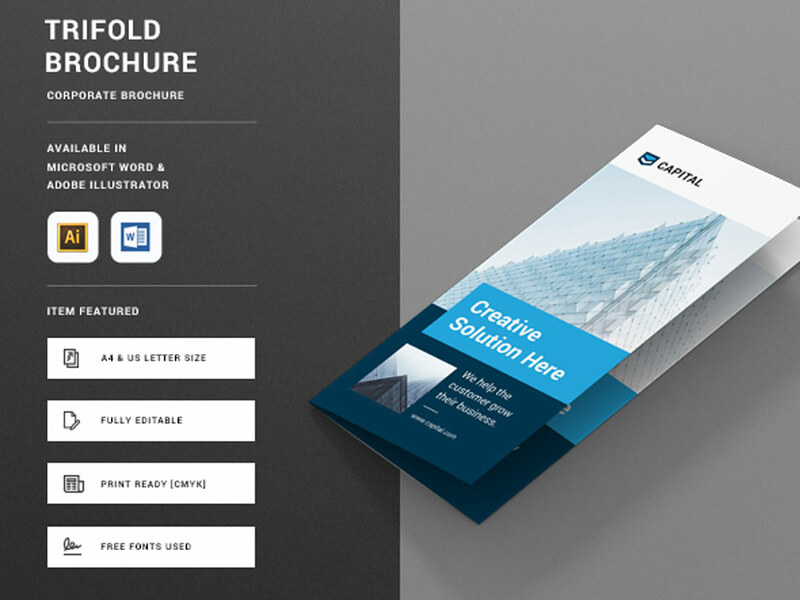 Check out this list of awesome brochure templates below. 2019 is sure to be the year for your budding business. 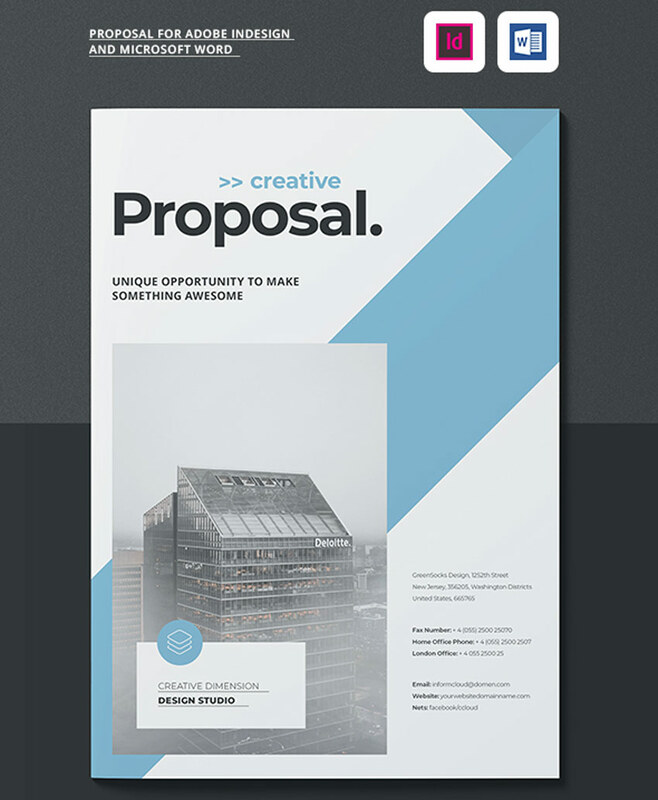 So make the most out of your proposals with incredible brochure templates. Today, we’re bringing you a wonderful collection of brochures created by a community of professionals. And now you can design the business of your dreams with high-quality brochure templates from Envato Market. From creative trifold brochures to minimalist proposal templates, you’ll be able to find a design that fits your brand. Every entrepreneur should have at least one solid trifold brochure template. These professional brochures make it possible for future clients to get to know more about your company and its services. Clean and multipurpose, this template features a corporate design that does just the trick for new businesses! 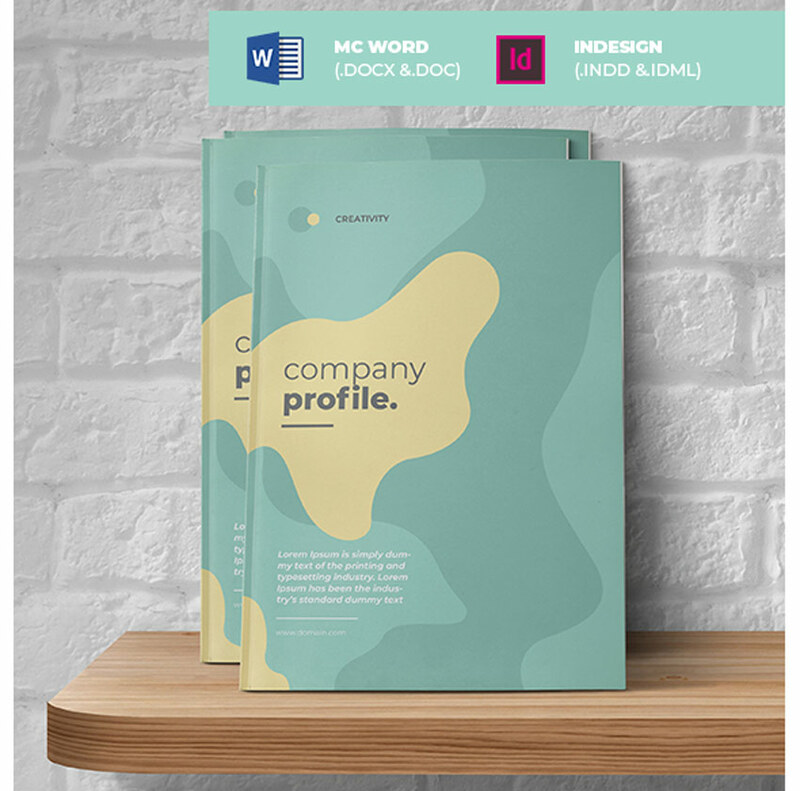 Design the business you want with this amazing brochure template. Easy to edit, this download comes with several editable templates made with 22 custom pages. Need a new font? No problem, just update the template at your pace with any new details you need. Need a creative corporate brochure for your business? Then check out this next print template created in Adobe InDesign. A special Microsoft Word file has also been included for quick updates. Get 36 custom pages and a premade cover layout. 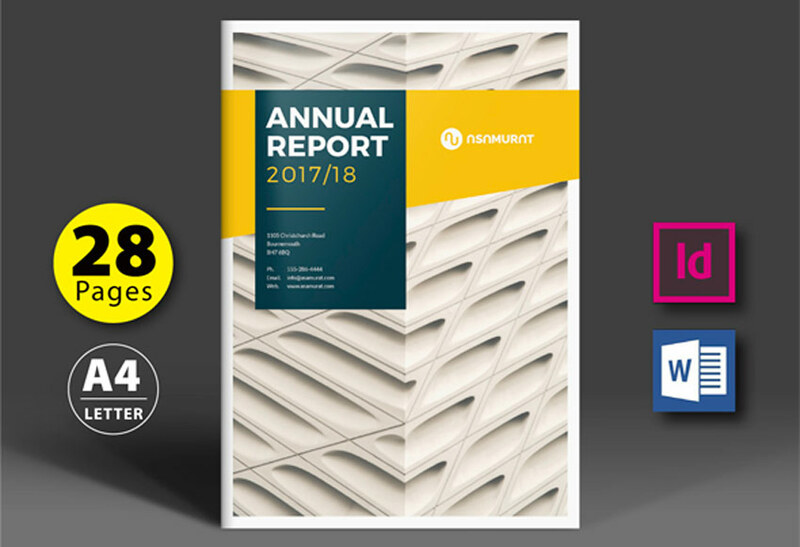 Track the findings of your business dealings with this annual report template. Create your company’s documentation quickly and easily with A4 sized templates and 18 unique layouts. Great for beginners, this template can also be edited with Microsoft Word. 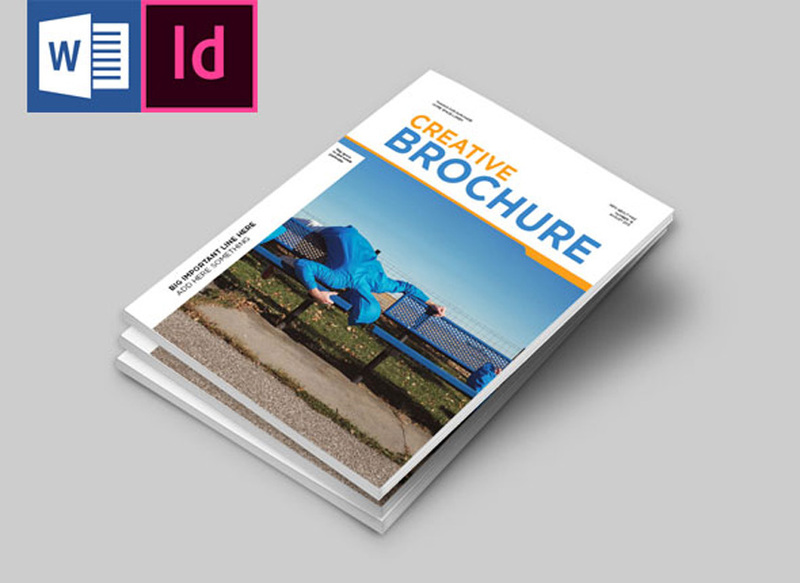 Create your own opportunities with this awesome brochure template. 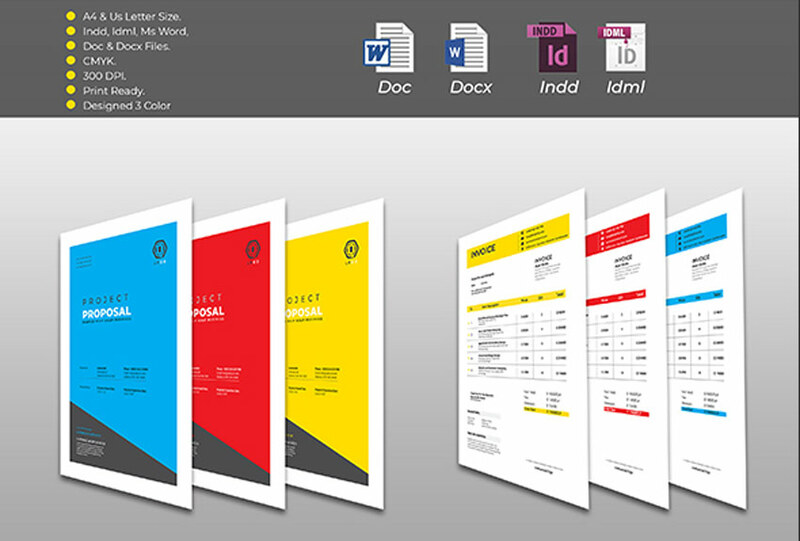 Originally designed with Adobe InDesign, this template also comes in the latest versions available for Microsoft Word. Enjoy this sleek blue and green color scheme or update it fast with your own brand colors. Print ready and fully editable, this brochure template includes 28 pages of extraordinary design. It’s Microsoft Word-friendly and completely layered to make your work life a lot easier. 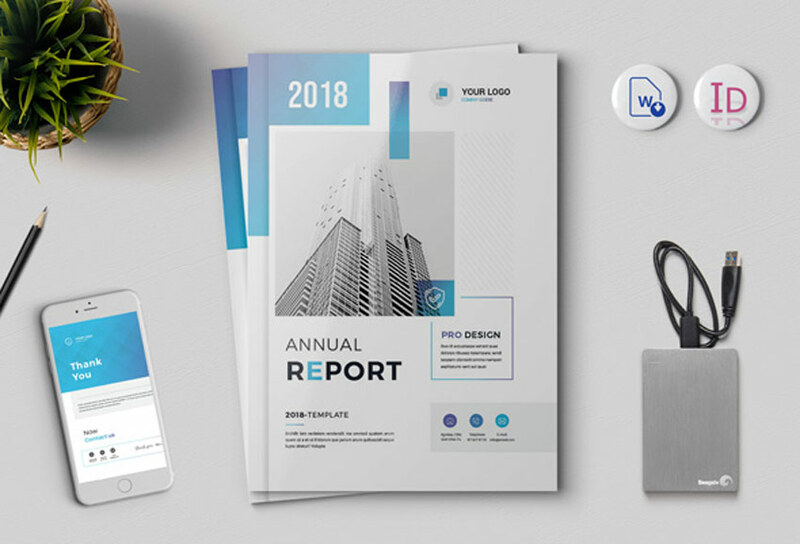 So kick start 2019 with this efficient corporate brochure template. 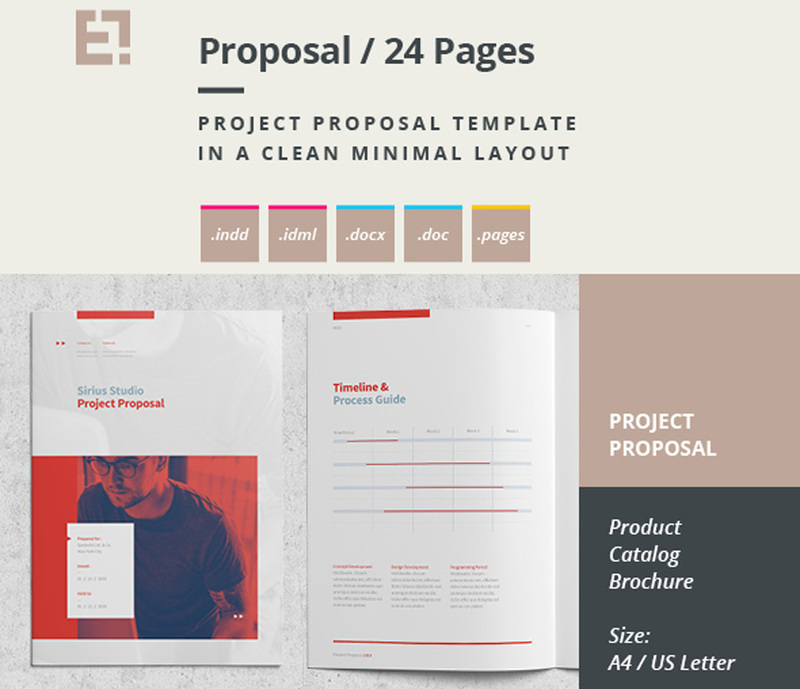 Get started on your next creative project with this minimalist proposal template. 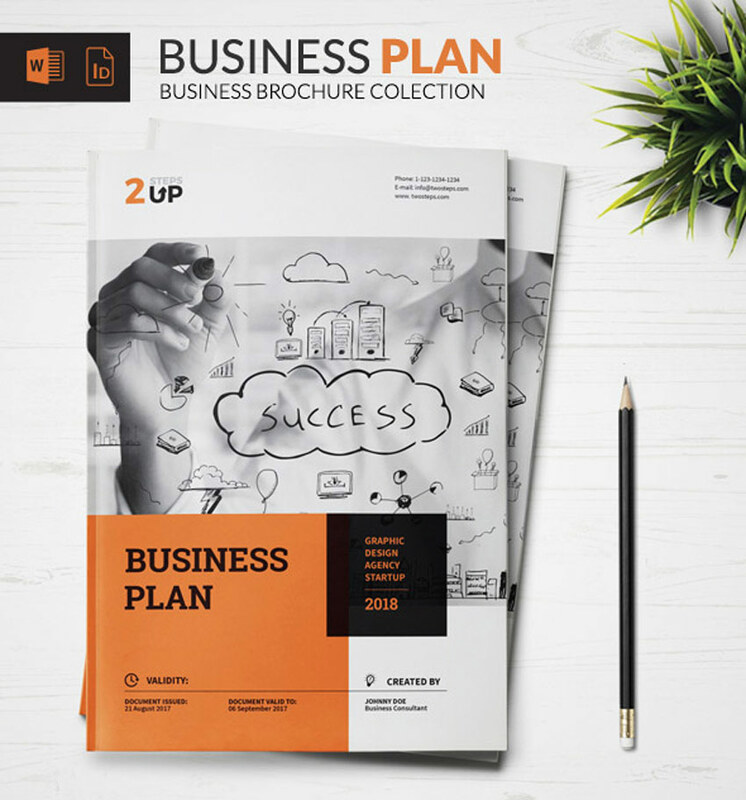 Designed for entrepreneurs and business professionals, this template features 24 fully layered pages in high-resolution formats. Easily access text and paragraph styles for a custom look! Tackling a new design project can be quite overwhelming! 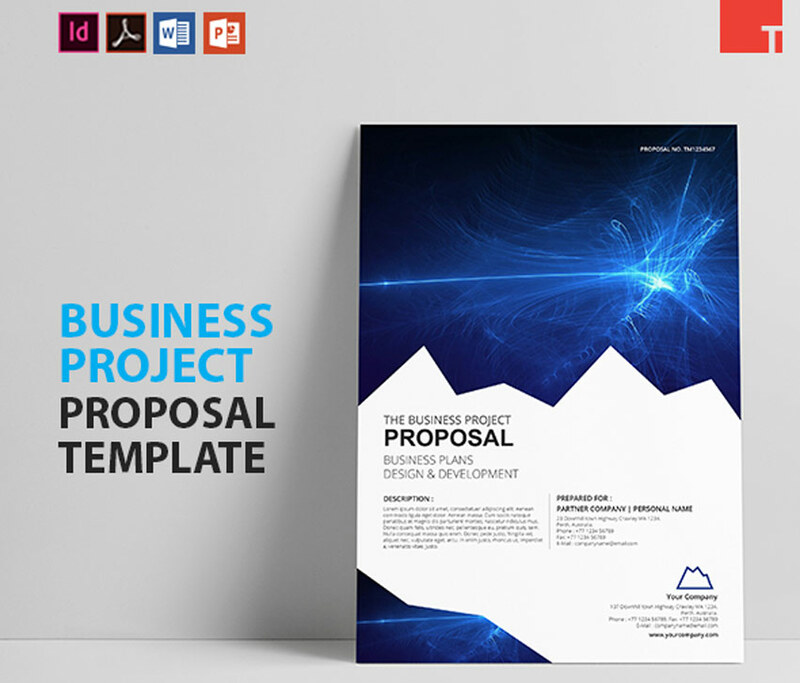 So take the headache out of proposals with this sleek and professional template. This download includes a stylish set of print-ready templates available in PDF, InDesign, and Word formats. Try it out! Our next print template includes a flexible design that’s great for proposals, invoices, and company details. The beautiful pastel color scheme is right on trend, but you can always swap out the colors to align it better with your brand. Master pages and automatic numbering are also included! Land the contract of your dreams with this incredible brochure template. 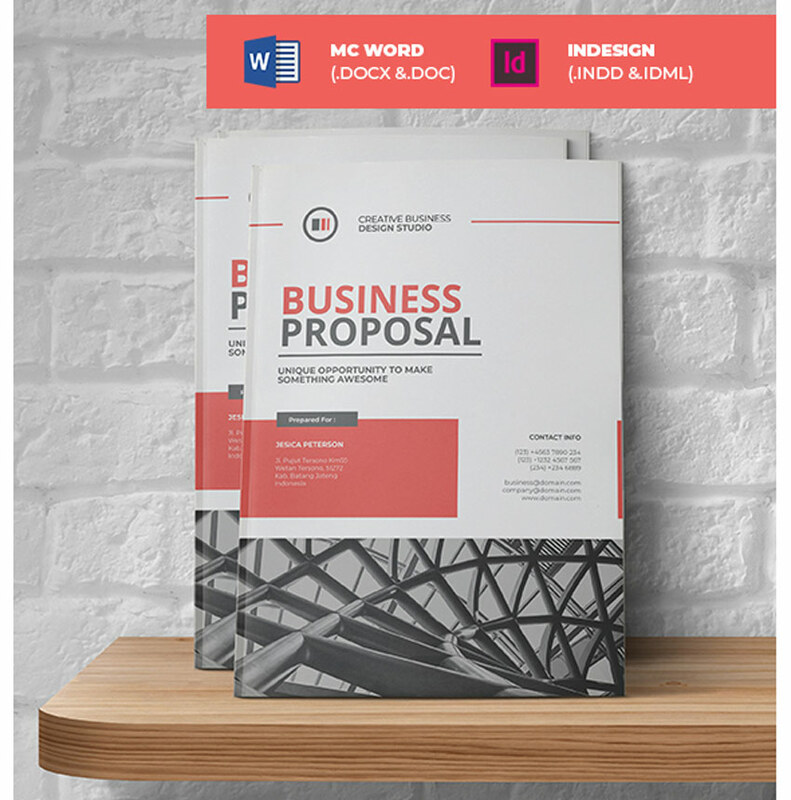 This business template collection features 32 custom pages available in InDesign and Word formats. It was made entirely with free fonts and is a great deal for just $10! Develop your brand and business strategy with this clean, minimalist design. 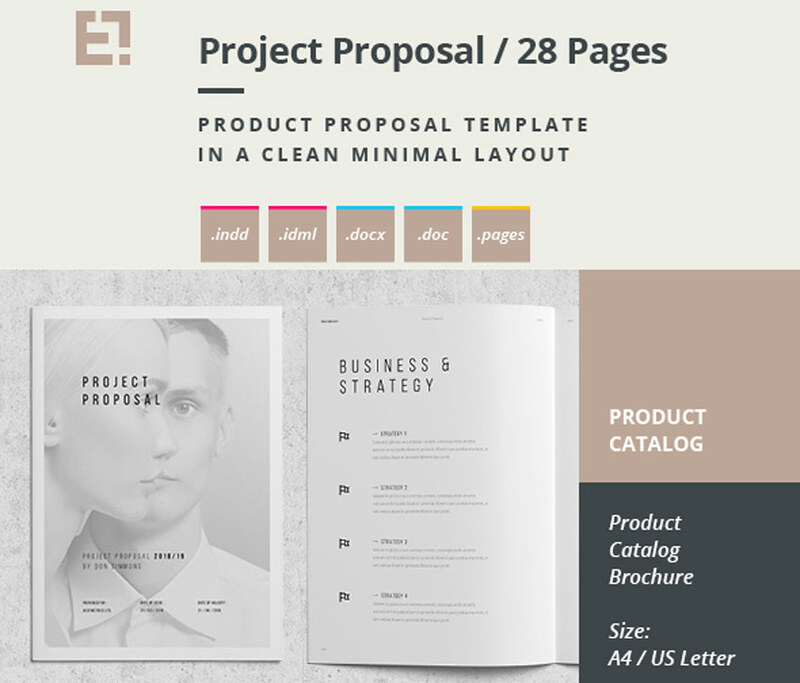 This product proposal template features 28 overall pages that are all easy to edit. Get started with the helpful PDF guide, which will walk you through the steps of the proposal from start to finish. 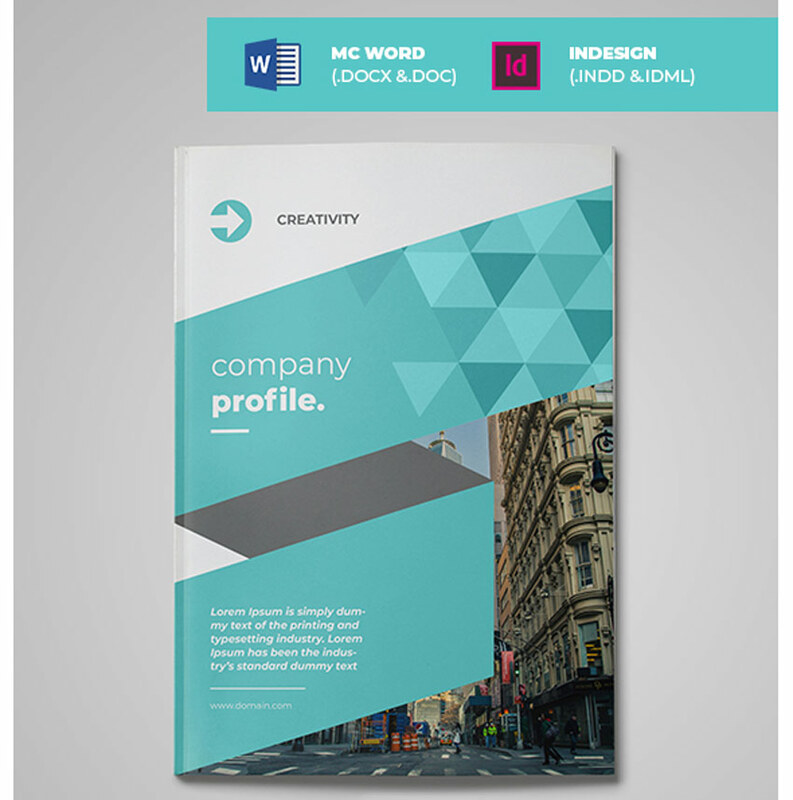 Made with Adobe InDesign, this company profile brochure also comes in a handy Microsoft Word file! Enjoy the stylish, modern design with stunning pastel colors and 22 custom pages. Featuring a grid-based layout, this template also includes master pages and so much more! 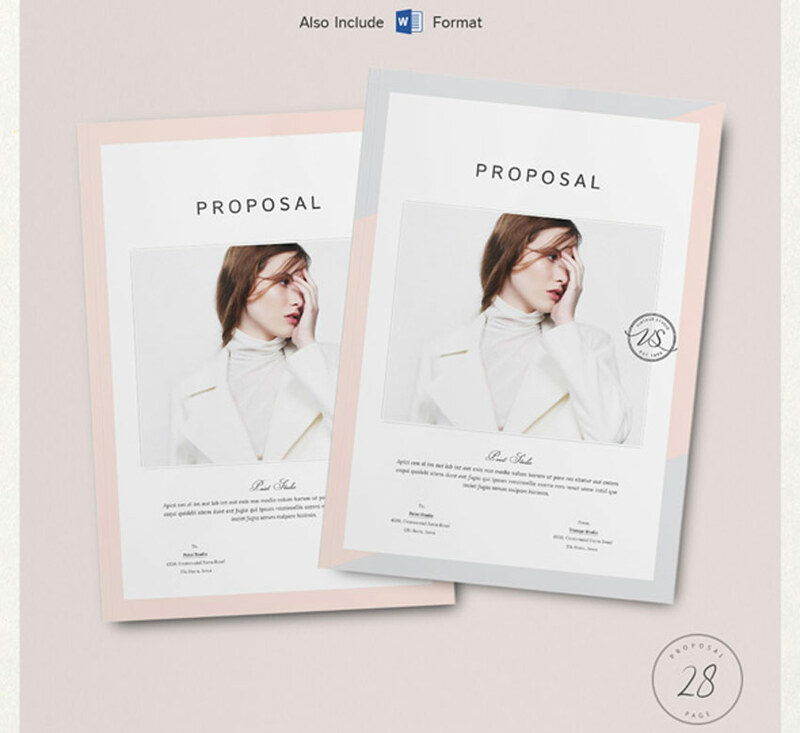 Color match this proposal to suit your style with ease! 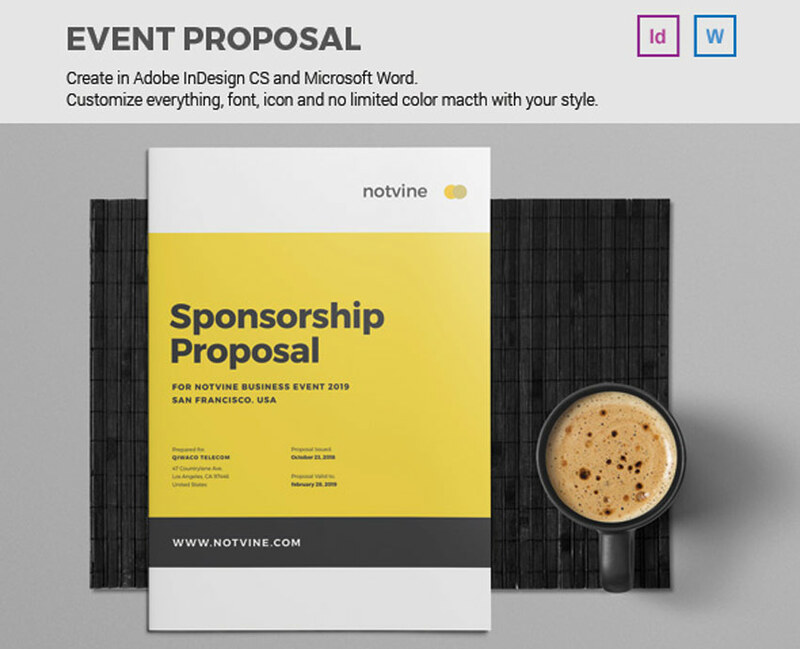 This event proposal template may even help you land funding for your new business. It’s fully editable and print ready, but you’ll need to update it with new pictures. So pick and use your favorites from PhotoDune. This clean and professional template will help you craft amazing opportunities for your business. Enjoy the stylish design which features a grid-based layout and only free fonts. Invoice and letterhead templates are also included for a well-rounded brand package. Take control of your business dreams with this professional corporate brochure. 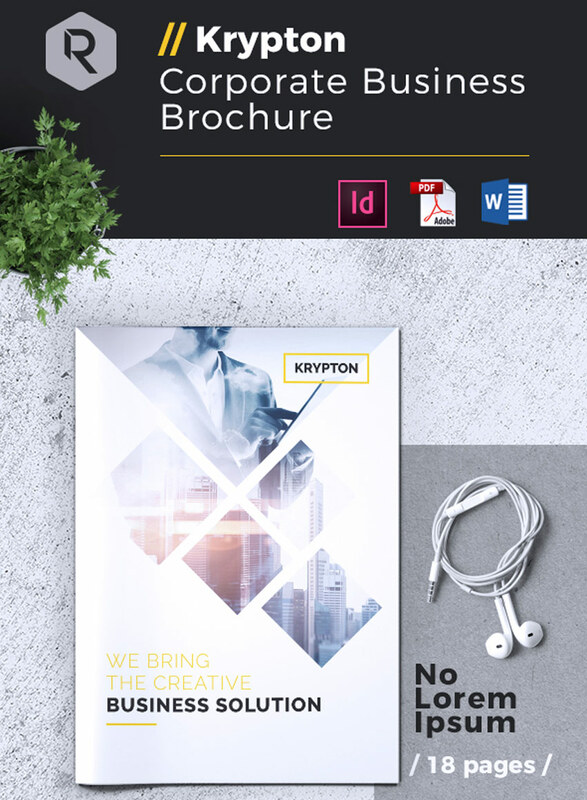 Available in both Adobe InDesign and Microsoft Word formats, this brochure features A4 and US Letter sizes with 16 custom pages. Just drag and drop your photos and information to get started. Enter 2019 with the best advertising strategy possible. 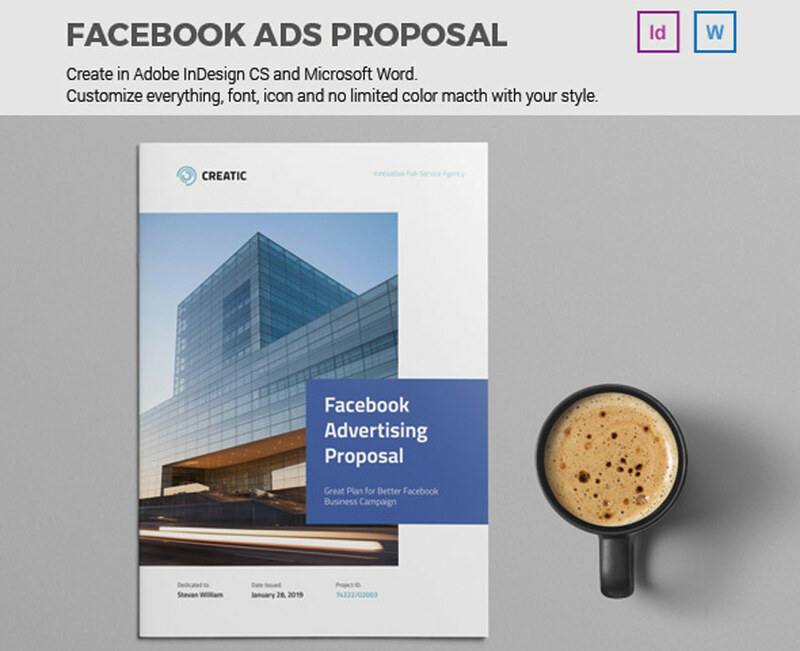 This Facebook ads proposal template is a smart resource for budding entrepreneurs and designers. It includes A4 and US Letter sizes, along with stylish page layouts for more inspiration. Add it to your collection! 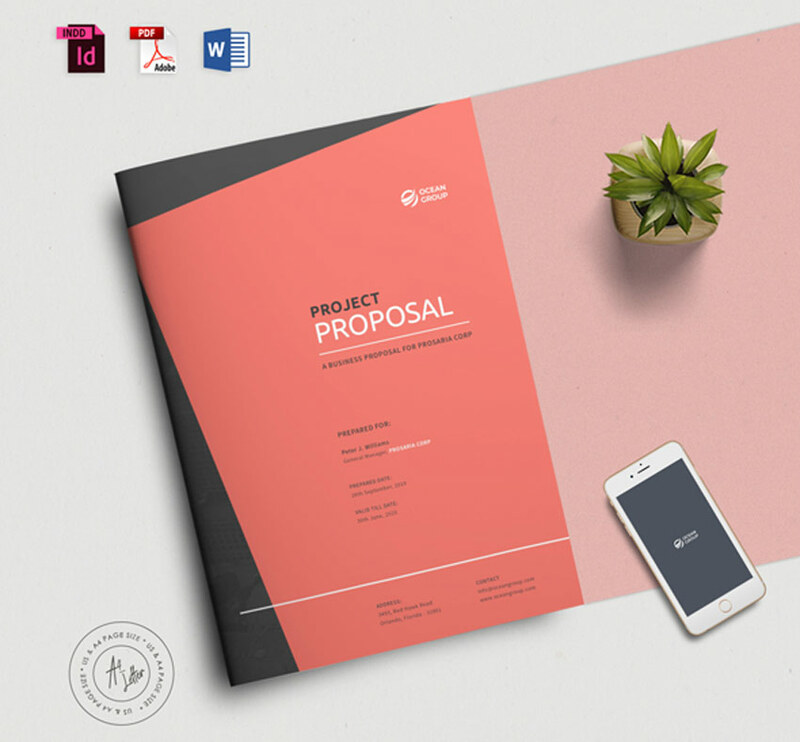 Enjoy three stunning yet simple color schemes with this next proposal template. This no-hassle design includes a minimalist theme perfect for beginners. Break down your expense reports, project descriptions and more with one helpful set. Writing your business proposals takes up enough time and energy. So cut your worries in half with a professionally designed template you can customize to your needs. This helpful resource comes with fully layered documents and a custom cover design for a fast turnaround. Highlight your company’s services with this extraordinary brochure. This template features 22 custom pages designed with intriguing layout options. Enjoy the trendy geometric-based design with beautiful colors you can update yourself. Check it out! Honor your loved one’s life through a special memorial. 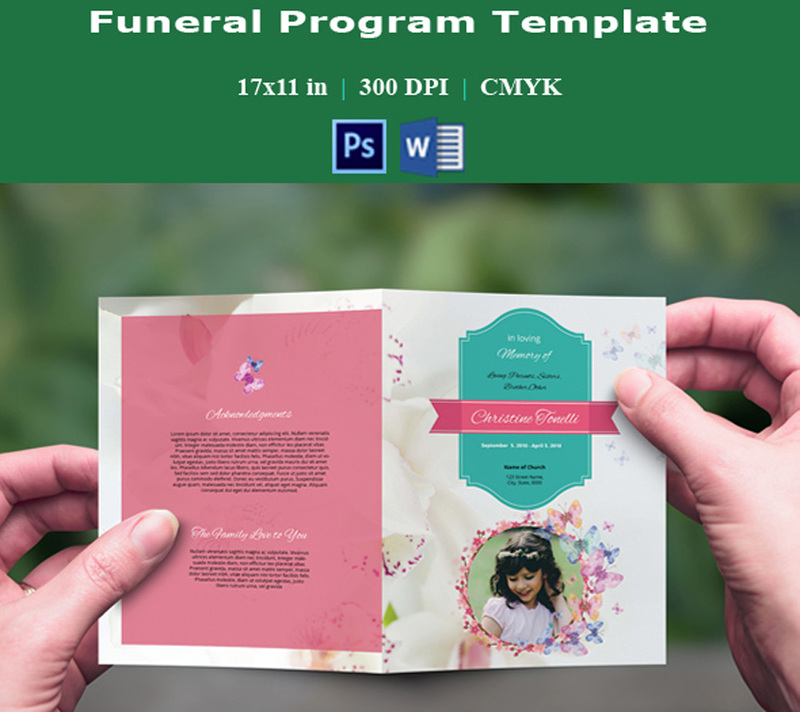 This memorial template not only allows you to customize it in Microsoft Word but it also gives you a helpful instructional guide for more assistance. Update it with pictures of your loved ones and their special memories. 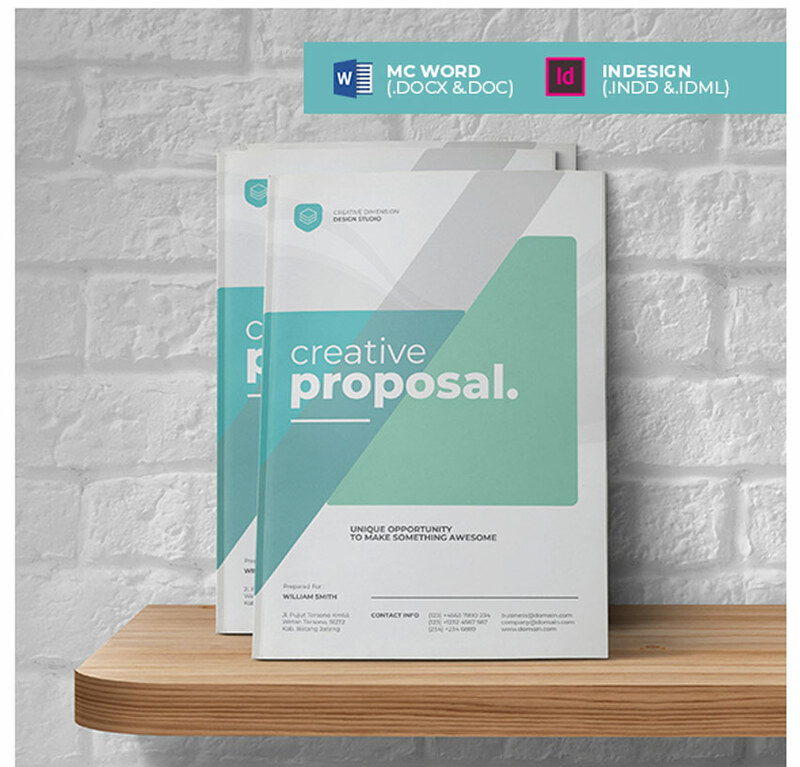 The final resource in this collection is this inspiring Microsoft Word project proposal. 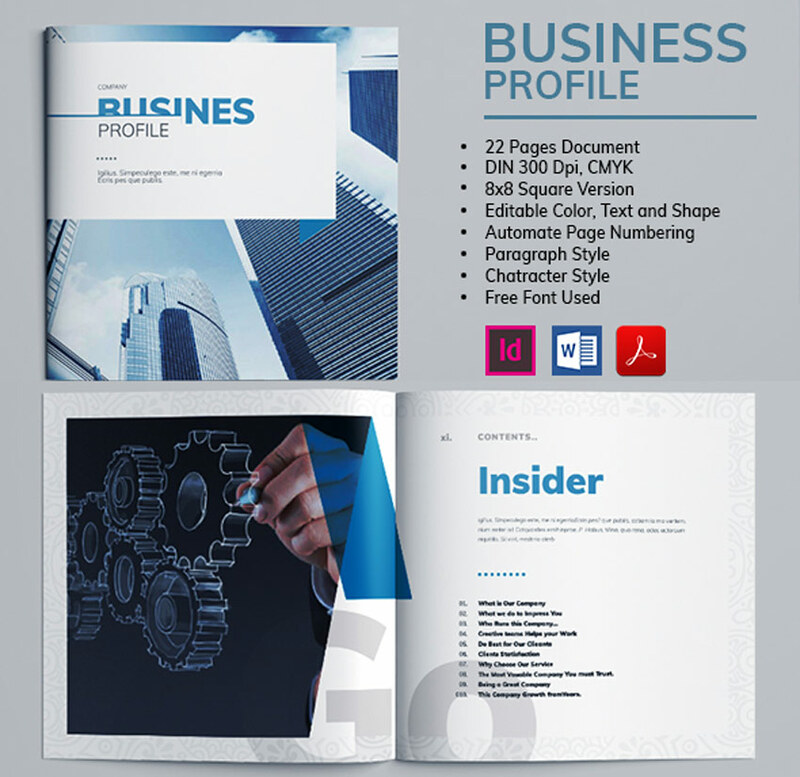 This professional template includes 16 pages originally design with Adobe InDesign. Describe your company’s strategy, projections and services with an effective template available in seven color samples.